Nothing like some MOFO'N ratchet ish to kick off the start of the summer right? Granted, I haven't been in a blogging type of mood lately, but I really appreciate everyone's condolences about the loss of my best friend, my ride or die chick, my grandma. Thank you from the bottom of my broken heart. Now, that I've gotten those formalities out of the way, let's continue on this journey of summertime ratchetness shall we? I'm oh so glad you asked. 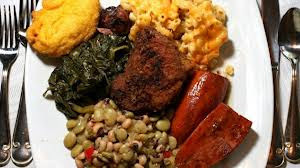 The 4th Annual Soul Food Festival. A Hot. Arse. Ratchet. Mess. So over a month ago, I contacted the festival via their website to see about covering the event and grabbing some interviews.. I wanted to chat with Morris Day and even ask Jerome why he's ok with ..well.. nevermind.. but Angela Winbush and her amazing story of bouncing back from a health scare, and Lakeside..ooooh weee, and well obviously you see this was an old school concert.. mmmk. So the folks over at the festival responded with a phone call, which I thought was pretty nice, and said I could cover the event and they would provide media passes for me +1. So I love to multi-task so I'm thinking I can cover this event for an article that I pitched, and I can shoot some interviews to put on my resume reel. Great idea huh? Well...in my professional nature, I always follow up the day before and even the day of the "interview" to confirm we are still good to go. So this was no different, I contacted the guy that I spoke to, he said we are good to go, your passes will be at the front gate, but just call me when you get here and I will make sure everything is taken care of. Saturday rolls around, I get to the event, call dude.. calls go to voice-mail. This has to be a fluke right? Lemme try again.. ring.. straight to voice-mail again...and again... hmm.. so I decide let me just go to the front gate. Ticket folks say go to the gate, ask them.. the folks at the gate says naw no media passes here.. just go on in and talk to the lady in the hat, I talk to her, she says no talk to the promoter .. so I ask the promoter about the passes..and he says.. "I don't know why that dude told you that there would be media passes, he doesn't work for me. You can go on in tho, but I can't give you a media pass." So WHO is answering emails sent via the website and responding to the ish then?!!! So at this point.. I am LIVID. But I'm trying not to act a donkey like my deddy would and remain professional so I just figure I'll go ahead and still be able to do a review of the show. Wellllllp.. not so much..considering the layout of this festival.... it's in a big arse PARKING LOT. NOT a PARK.. A PARKING LOT. Concrete.. asphalt... and lawn chairs. The stage is all the way at the front of the lot, so if you got there early, then you could possibly see the stage.. (that would prob be the first 100 people) and after that.. well, you pretty much just bought a ticket to stare at the back of someone's lawn chair and people watch while LISTENING to good music, cuz you couldn't see a damn thing. No jumbo screens..no nada.. and since it was a soul food festival.. I'm sure you want to know about the food.. well hell..me too. LOL. They had a handful (less than 10) vendors selling food and drinks and thousands of people that were hungry and thirsty. I know folks waited in line for almost 2 hours to get food, and the ish made them sick.. waste of time and money! And you already know these mofos didn't start on time. I got bored watching the back of the chairs and staring at the sky and people watching so I left early..but let me run down the sights that I did see..
Fingerwaves galore. WhomEVER keeps doing this to women's heads in 2013 ..PLEASE STOP. Thank yew. A man had the audacity to hurt my feelings and everyone there by wearing a red snake skin shirt that KILT my very soul..
Then you had gold teeF, grills, missing teeF.. it was like a dental work be damned convention. Women walking around in shoes that they clearly didn't practice in after they bought them, and they probably didn't count on having to walk on asphalt, they was probably hoping for patches of grass to chill on.. welllp..
Lots of mandals (that's man-sandals), ashy feet, and linen suits...weed and newports.. ahhhhh just enough to make you wanna divorce black folks. Let's not forget the parking situation.. pay $5 to park, and ooops.. no more parking spaces.. WTF?! Needless to say, this is an event that I will NEVER go back to just because it wasn't organized very well.. I hate that these awesome old school acts even were associated with such a poorly planned event. So my recommendation.. skip the Soul Food Festival if it comes to your city unless the promoters there just happen to have some sense and want folks to come back next year. As for Meik Meik.. she wont' be attending not a nar nother one in Charlotte, NC. Lesson Learned: aww hell.. I ain't got one..except.. arrive early.. and well I don't know if that would have even helped. Charlotte, you failed on this one. The bright side of this entire long weekend was seeing Jon B. and SWV at Speed Street-kudos to the NASCAR folks for giving us a great show and making it accessible and easy for everyone to see the stage no matter where you were, or you could look at the NASCAR HALL OF FAME Building and see a jumbo screen...hmmmph.. a grand idea! Look at God. "Dental work be damned convention" - LMAO!!! That festival sounds like one hot mess. Great review, sorry you had to deal with foolishness.